I fell in love with your LaSportiva Quantum trail running shoes. And then they broke my heart. 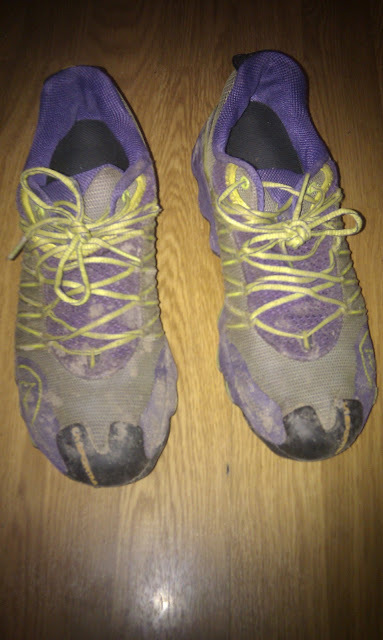 From their narrow profile that fit my feet like a glove to the funky purple and green colors to the wavey tread that actually works on slippery terrain, I thought that these were the shoes for me. I would search no more, I was ready to tie myself down to one pair of shoes. My favorite pair of trail running shoes. I didn't even run that much this summer. In fact, I spent most of the summer biking (just read the backlog of my blog). 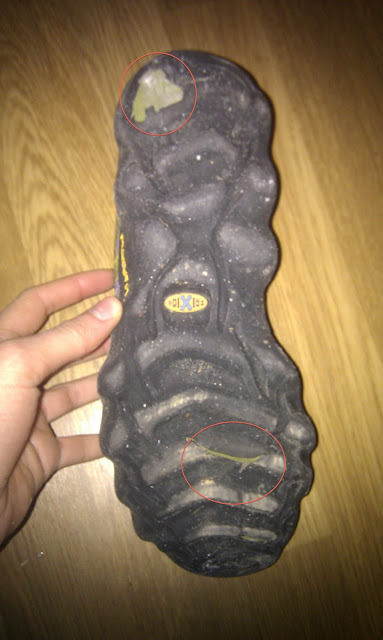 But somehow, running once a week or less, I ground my lovely LaSportiva Quantums into the ground. 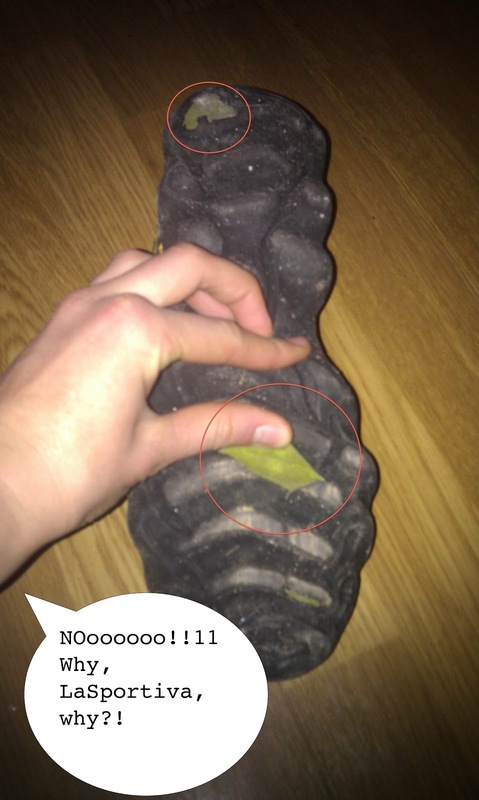 So dear LaSportiva, can you please make me the same shoes, but more robust? P.S. If any LaSportiva executives read this and feel a deep need to send me new shoes, please comment below and I will give you my contact info.